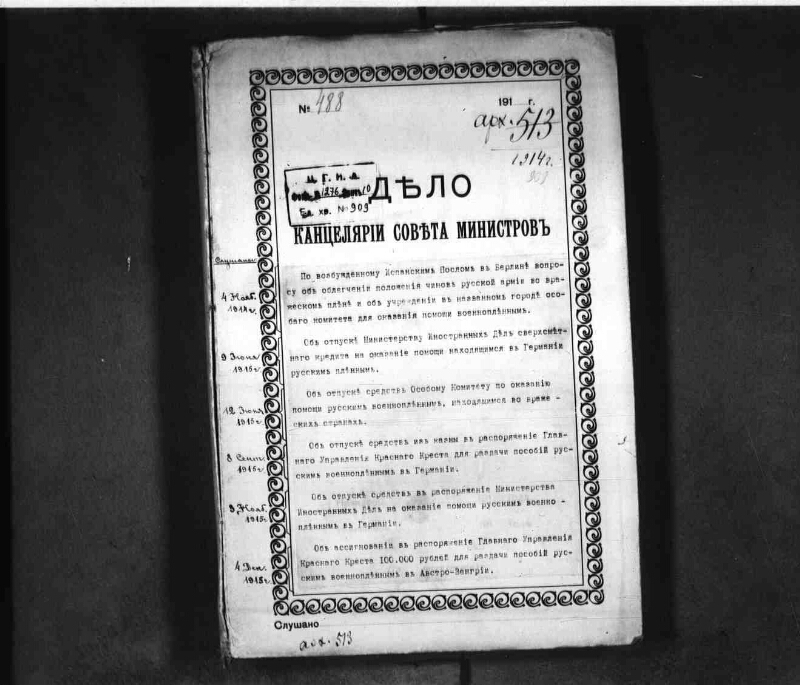 The file contains the following documents: On the issue raised by the Spanish Ambassador in Berlin on easing the situation of Russian army officers in the enemy hostage and establishing an ad hoc committee to assist prisoners of war in the city. On the holiday of the Ministry of Foreign Affairs over-estimate loan for rendering assistance to the Russian prisoners who are in Germany. On the release of funds to the Special Committee for Assistance to Russian POWs in Hostile Countries. 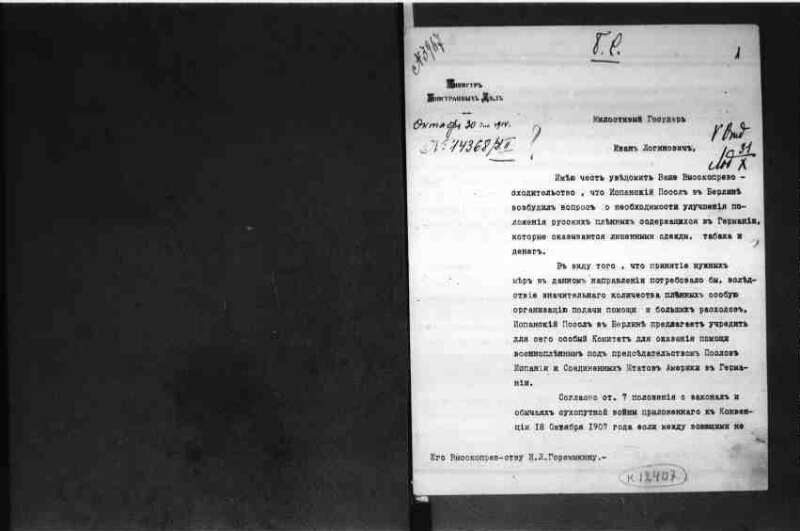 On the release of funds from the treasury to the disposal of the Central Red Cross to distribute allowances to Russian prisoners of war in Germany. 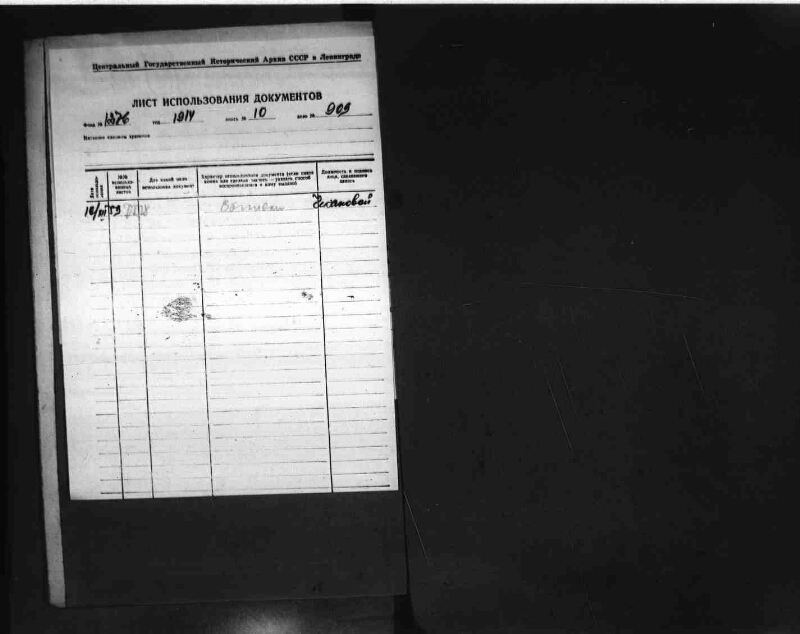 On the release of funds at the disposal of the Ministry of Foreign Affairs to assist Russian prisoners of war in Germany. 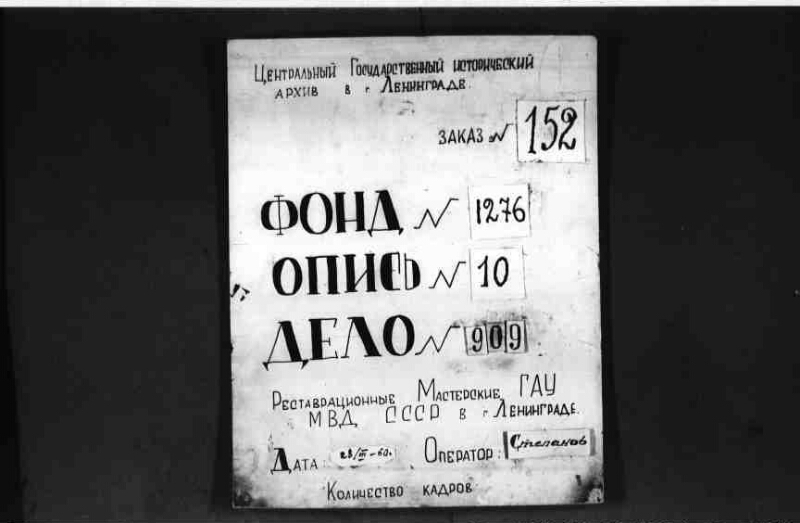 On the allocation to the disposal of the Central Red Cross, 100,000 rubles for the distribution of allowances to Russian prisoners of war in Austria-Hungary . I. Russia. Council of Ministers. Chancery. II. Council of Ministers. III. Chancellery of the Council of Ministers. The First World War (collection). 2. Power (collection). 3. The people (the collection). 4. 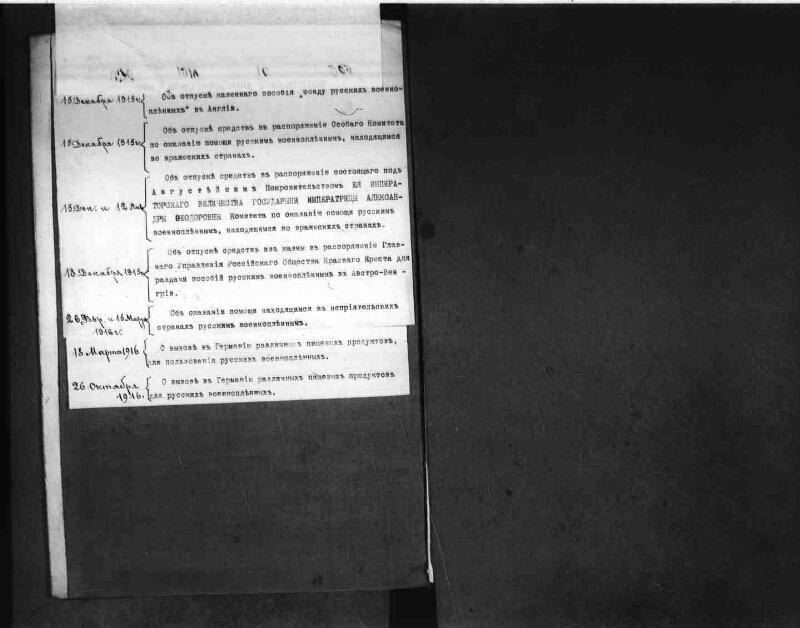 The First World War - Prisoners of War Russian - Germany - 1914 - 1918 - Documents and materials. Location on the secret of the original: РГИА. F. 1276. Op. 10. D. 909.